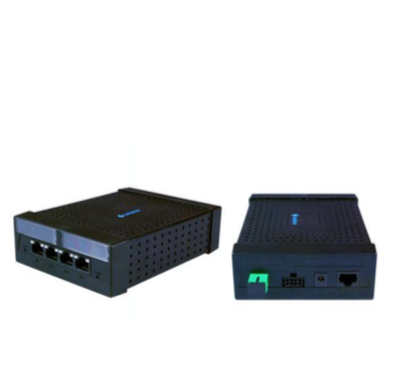 GPON Shop | Your source for optical LAN equipment. Your source for optical LAN equipment. 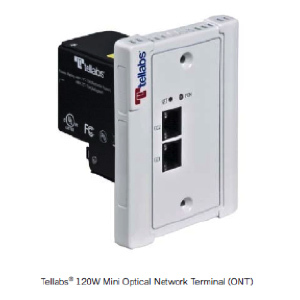 The Tellabs 140C ONT and the 140W ONT. The 140W provides a nice, clean, in-wall mounting 4-port ONT while the 140C is great for a under desk or above ceiling panel mount. Both come with Power-over-Ethernet (PoE). The 140W or 140C have four 10/100/1000 Base-T ports which can deliver up to 65 Watts of total power. This makes it an ideal low-cost, high bandwidth solution for VoIP phones, security cameras, and data access points. We are a low-cost provider GPON/Optical LAN products. All items are sold new and come with a full manufacture warranty. We make buying easy. Simply create an account or click to start shopping. You may also give us a call at 702-953-2387 and we can provide you a quote. Orders are presently limited to delivery in the US for approved customers. Tellabs' products combine solid reliability with cutting-edge technology development and real-world operations experience to create a set of solutions meeting service provider needs. For additional product information or to request a quote to buy a complete GPON/Optical LAN or Optical Transport System, simply click here to request a quote or give us a call at 702-953-2387. This web site is operated by Global Netwave who is an authorized reseller of Tellabs products. Copyright © GPON Shop, 2013-2019.